We stopped at Fishermen's Terminal, the home of the Seattle fishing fleet. 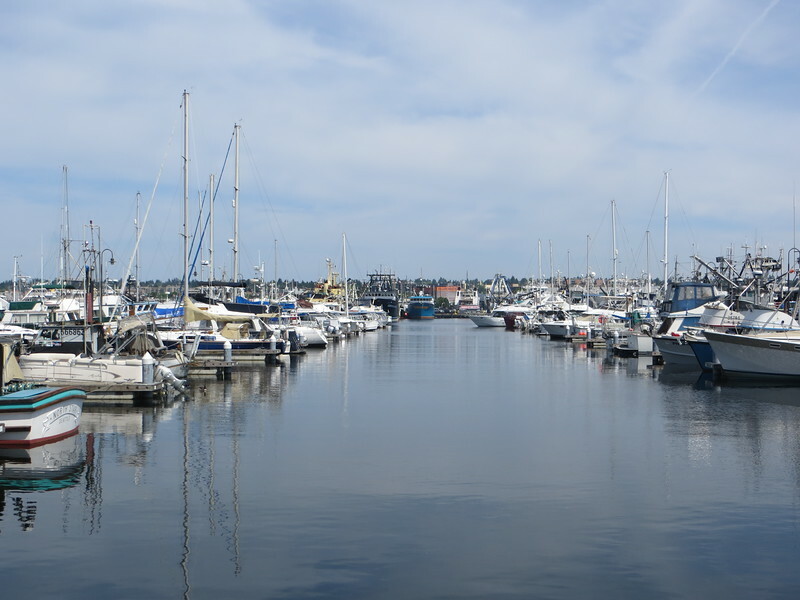 It is situated in a wide recess of the ship canal called Salmon Bay, a popular moorage spot because it's in freshwater and thus less corrosive to boats. Many of these boats will head for Alaska in the summer.